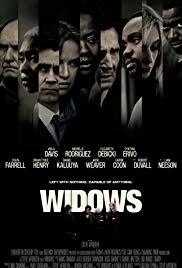 Widows, starring Viola Davis and Liam Neeson. R, 129 minutes, 2018. Movies are shown with closed-captioning when available. Doors open fifteen minutes before movie starts. Funding provided by the Friends of the Toco Hill - Avis G. Williams Library.